This is a diamond among many classic Yirgacheffe gems. Meyer lemon rolled in a gentle floral fill the nose, and cardamom and earl grey tea lay in the mouth. A happily expected brightness is found in the acidity. Sugary goodness wraps up in the finish. We’ll be back to business as usual Monday morning. Along side the Two Leaves and a Bud’s, Alpine Berry & Assam Black we have 4 new exciting flavors! Introducing: Certified Organic flavors: Peach, Meyer Lemon, Tropical Green and Tart Blood Orange. 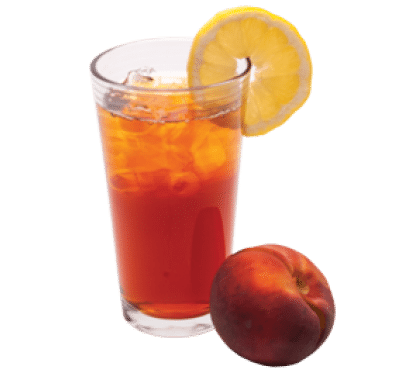 Peach: We love an iced tea that refreshes with a pop of flavor, and that’s what the delightfully fruity (but not too fruity!) flavor of Organic Peach’s Peach black iced tea does for us. Tropical Green: Iced green tea doesn’t get any more chill than these tea leaves infused with tropical, melon-berry flavors. Meyer Lemon: Lemons are the definition of “tart”, but Meyer Lemons are sweet and floral. 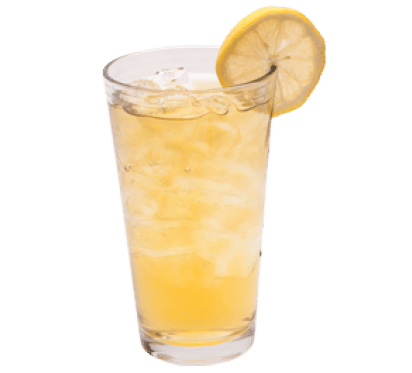 This tea is an herbal tea lover’s version of lemonade on a hot day! 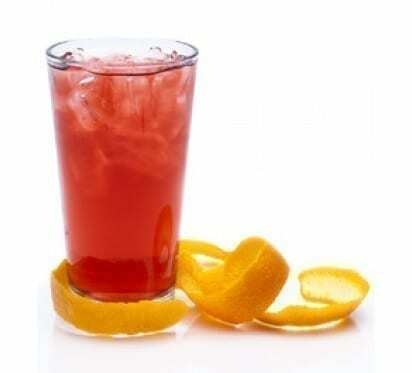 Tart Blood Orange: Zest up your iced tea with serious citrus flavor and color — this tea is a colorful gem in your glass. Makes gorgeous ice cubes too! Two Leaves and a Bud hand crafted iced teas are delicious and profitable! Six Certified Organic flavors: Black, Peach Black, Tropical Green, Tart Berry, Tart Meyer Lemon, and Tart Blood Orange. Customers will enjoy and remember the unique, delicious flavors of Two Leaves and a Bud iced tea. Ask for samples today! At UP we’re always excited to get the cold press UP and running! Here is a little break down on cold press. The cold press (also known as, Cold Brew) process requires grinding coarse-ground beans that are soaked in water for usually 12 hours or more. The water is normally kept at room temperature, but chilled water can also be used. The grounds must be filtered out of the water after they have been steeped. The result is a coffee concentrate that is often diluted with water or milk, and can be served hot, over ice or blended with ice and other ingredients such as Ghirardelli chocolate or Monin syrup. Cold Press coffee naturally seems sweeter due to its lower acidity. Coffee beans in cold press coffee never come into contact with heated water, the process of leaching flavor from the beans produces a different chemical profile from conventional brewing methods. There is also high levels of caffeine in a cup of cold brewed coffee compared to hot brewed coffee. Try it with our Matador Espresso for an extra smooth & chocolaty taste. We have been fortunate in receiving this excellent honey process crop from Peru. For nearly a decade we have been purchasing Cafe Femenino’s Peru, and each year we consistently find improvements in their quality. Although this is technically not a Cafe Femenino crop, the wife, Elianita Oblitas, is a Cafe Femenino producer. Below you will read about what makes the Honey Process so special, the notes we gain from the cup, and a little more information about its producers. The basic principle of Honey method lies in picking only perfectly ripe cherries. We achieve this by measuring their sugar content (brix grades) during the ripening period. At the end of each harvest day, freshly picked cherries are collected, weighed and pulped in manual or electrical pulpers. With their mucilage still fully attached, they are spread on African drying beds. These raised beds are made using locally sourced bamboo, wire mesh and black plastic netting (serán). Depending on weather conditions, the usual drying cycle takes 10-12 days. At the end of this stage, the water content of the beans should be approx. 11 %. The true benefit of Honey method is the lack of water used. Not a single drop is wasted for pulping, washing or fermenting. Therefore, comparing to the traditional washed method, there are provable savings of around 2000 l per bag of green beans (60 kg). Honey method can be easily implemented in remote areas where it eliminates the difficulties with trucking freshly picked cherries to wet mills, usually situated far away from the farm. This often causes problems with unwanted fermentation during the trip and thus potential degradation of quality. Another important advantage of Honey process is its economical factor. The cost of purchasing a single pulper is incomparable to investing into a fully equipped wet mill. Furthermore, using traditional African drying beds rather than mechanical dryers (guardiolas) saves huge amounts of electricity or fossil fuels. All this makes the Honey method the most environmentally friendly coffee processing technique at present time. The drying of the parchment with all the mucilage still attached has a direct impact on the sweetness of the cup. Honey coffees have generally very unique cup profile, characterized by its distinct sweetness, enhanced fruit notes and sweet acidity on the taste and aftertaste. The aroma of freshly iced carrot cake wafts from the cup. Notes of Bit-O-Honey candies fill your palate, leading to juicy boysenberry. The acidity is teasingly bright and the body is velvet on the tongue. One’s first thought after the sip is that of a fig on thin toast finish. Raul Yañis and his wife Elianita Oblitas worked together on this production from Cocochó, Peru at 1,700m elevation. Raul is a veterinarian while Elianita is a Cafe Femenino producer – which is how we found ourselves being offered this amazing crop. They have two daughters, one studying agronomy with a Cup For Education scholarship (Coffee Holding Company non-profit). 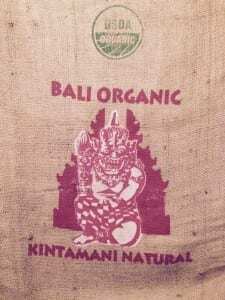 In ordinance with their organic certification, they use irrigation systems, composting with manure and coffee pulp, and the coffee drying racks are covered with netting as a roof to protect from rain/moisture. For wholesale questions on this amazing crop, please call or email. Otherwise for the home users, pick up a bag today! The days of disposable foodservice wares are coming to an end in Minneapolis. This Earth Day, April 22nd, the city of Minneapolis will be taking a step towards greener living by enacting the Environmentally Acceptable Packing Ordinance. The city ordinance, which was approved in spring of last year, forbids foodservice establishments from using single-use, disposable containers made from rigid polystyrene (plastic marked with a ‘6’ inside the recycling symbol) and expanded polystyrene (also known as Styrofoam). Once the ordinance goes into effect, restaurants will need to use more eco-friendly options, such as recyclable, reusable and compostable packaging. Certain disposable foodservice items will not be included in the ban at this time, including utensils, straws and lids for hot cups. Health inspectors will be required to verify that foodservice businesses are, in fact, using acceptable packaging, and those who do not comply may be issued a warning or citation. The graphic below illustrates some forms of acceptable and unacceptable packaging options. This ordinance is far from the first of its kind. Over 100 other cities across the country have enacted similar regulations. Part of the reasoning behind it is that the foam containers are fairly inefficient to recycle and therefore, Minneapolis does not. Relatively few cities across the nation do. The inefficiency comes from the fact that the majority of the content of the foam containers is actually just air, with only about 5% of the container being recyclable plastic. There is equipment that can be purchased to condense the material; however, it is quite expensive. Additionally, these containers are most easily recycled when they are clean and free of residue, which is very challenging when using a single-sort system. This ordinance also brings about a great opportunity for you to encourage your customers to bring their own reusable cup! Many cafés offer discounts to customers who bring their own cup to reduce waste and save on the cost of supplies. Your customers will love the discount they get and appreciate the efforts that you are making to be environmentally friendly! UP Coffee Roasters is a proud purveyor of KeepCups, a reusable to-go coffee cup! They are available in glass or plastic and sizes ranging from four ounces to 16 ounces. With these changes coming, is your business ready? 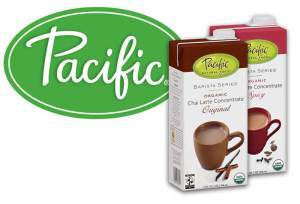 Are you in need of a new vendor for eco-friendly packaging? UP Coffee Roasters has got your business covered! In addition to distributing award-winning, freshly roasted coffee, we also carry a variety of eco-friendly packaging options for your café, restaurant, gelato shop or other foodservice business! We have various options for paper hot cups, java jackets, cold cups, plates, clamshell to-go containers, compostable flatware, napkins, etc.! There is no minimum order and if you are located in St. Paul or Minneapolis, you can even receive weekly orders via our delivery van. Customers are also always welcome to stop by our warehouse, located in Northeast Minneapolis, to pick up their orders to avoid shipping costs and visit with our friendly staff. For a limited time, if you decide to switch to UP Coffee Roasters as your vendor for eco-friendly foodservice ware, we’ll throw in a free gift! Have you ever wondered where coffee originated? I mean, what society originally decided to grow this plant, extract the beans from within the cherry, roast them, grind them and then steep them in water to create the tasty, caffeinated beverage we all love so much today? Well, wonder no more! 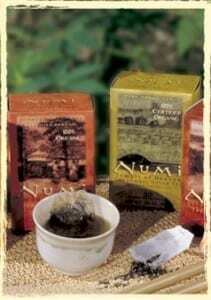 Coffee, both the plant and the consumption of the beverage, originated in Ethiopia. Because of this, and the fact that Ethiopia remains a key player in the specialty coffee market, Ethiopian coffee often holds a special place in hearts of many coffee professionals across the industry. Not only is there extensive coffee history in Ethiopia, but coffee remains essential to the country’s economy. Coffee accounts for roughly 60% of export earnings and provides a livelihood for approximately 15 million people. If you’ve ordered our Ethiopian coffee lately, you’ve probably been asked if you’re looking for the Washed or Natural Process. The first time someone asked me this I just stared in confusion and asked about the difference. Basically, it boils down to this: coffee beans come from inside a coffee cherry. In coffee production, the coffee cherries are picked off the coffee plant once they are ripe and then the beans need to be extracted and dried. In Natural Process, aka dry process, the beans are dried while still inside the coffee cherry, so the whole fruit, including the coffee cherry and mucilage, is dried and then the coffee bean is separated from the rest of the fruit. This is the oldest method of processing coffee. The coffee cherry and mucilage are composed of sugars and alcohols, which play a role in the sweetness, acidity and overall flavor profile of the coffee. This tends to result in coffees that have a heavier mouthfeel, lower acidity levels and intense, exotic flavor profiles. Alternatively, Washed coffees involve first separating the coffee bean from the coffee cherry and the mucilage and then drying it. Washed coffees are typically characterized as being clean, bright and milder in flavor due to the process. This tends to result in a more consistent flavor profile. The majority of the coffees we carry here at UP, and in general industry-wide, are washed coffees. Over the last several years you may have noticed some changes in the food industry and the way people source, buy and talk about food. The specialty foods market is on the rise and is expected to reach 100 billion dollars by 2016. According to the Consumer Report, the specialty food industry is growing approximately three times as fast as the regular food industry. A study reported on in Fancy Food and Culinary Products states that 59 percent of U.S. consumers have purchased specialty products. Top contenders amongst specialty food purchases include chocolate, coffee and tea (all falling within the top 10 items). Not only are people buying these items, but they’re making very conscious decisions about it, going out of their way to seek out retailers who offer specialized products and making purchases online for specific items. While better quality undoubtedly plays a role in the decision to purchase specialty items, there are other motivations as well. Products that are produced sustainably rank high on the priority list for many consumers. According to a Consumer Report produced by the Specialty Food Association, 84 percent of specialty food consumers find value in sustainably produced products. This often means seeking out certifications such as All Natural, Organic, Fair Trade, GMO-Free or locally produced items. We at UP Coffee Roasters pride ourselves on providing products that are made with recycled materials, are biodegradable/recyclable, organic, all natural and fair trade. Our work with Café Femenino helps support women in the coffee industry and build stronger farming communities. Our goal to provide organically produced coffee whenever possible speaks to our commitment to environmental consciousness. Not to mention all the electricity needed to power our roastery comes from sustainable solar energy via our 10 kilowatt solar panels. We understand that with every purchase consumers make they are voting with their wallets for what types of products and companies they want to support. So when your café, restaurant or shop is selling or serving Organic and Fair Trade coffee and tea, or All Natural or Organic soups, milk alternatives and syrups from UP Coffee Roasters, make sure you are letting your customers know! They will love hearing about how the dollars they’re spending have a positive impact on the people and communities that produce those items. It’s Time to Enjoy the Fruits of the Season! Do you order, Big Train Vanilla? You get a deal!! JET Smoothies? You get a deal!!! Oregon Chai? You get a deal!!!! Please mention this promotion when ordering to receive deal!